Spider Man 3 NDS apk android for DraStic free download working on mobile and pc,Nintendo DS EmulatorSpider-Man 3 allows players to experience the actions of heroic red suit Spider-Man, and for the first time ever, his darker, more mysterious black suit persona. 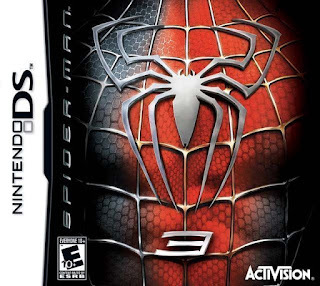 Set in a 3D side scrolling world and delivering complete touch screen handling, players must draw upon Spider-Man’s vast array of moves, attacks and upgrades as they choose their path and embark on a wide variety of city-based missions and multiple movie-based and original story arcs. 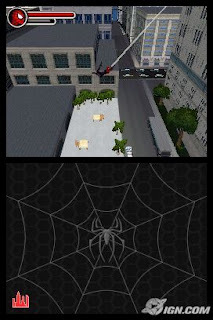 Additionally, Spider-Man 3 for the Nintendo DS features local wireless multiplayer gameplay featuring with a variety of modes enabling awesome two-player head-to-head challenges like Brawler, Hot Potato, Target Practice, and Combo Challenge.For the first time ever, control the legendary symbiotic Black Suit, which magnifies Spider-Man’s strength, agility, durability and web powers, but the power comes at a price. 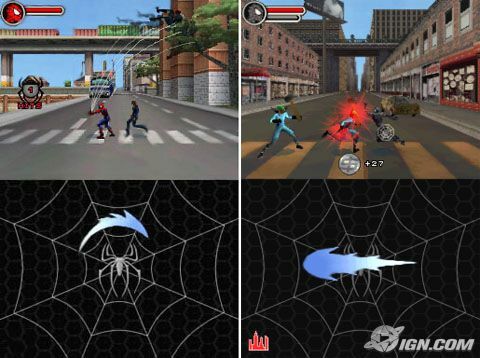 The longer gamers play as black suited Spider-Man, the more they risk losing the good in him. In a unique mixture of open-ended gameplay and linear story progression, players can traverse and protect massive, wide open sections of New York City, battle villains from the feature film, or embark on a variety of original story arcs in whatever order they choose when they choose. 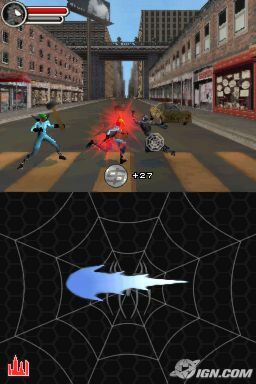 Maximizing the capabilities of the Nintendo DS, players will experience Spider-Man’s unique abilities as never before by controlling both red-suited and black-suited Spider-Man’s movement and combat with a multitude of organic touch screen gestures and motions. Utilizing an in-depth “hero points” reward system, players can fully customize and upgrade Spider-Man maximizing his powers and abilities. With liberty and multiplayer for all – A variety of local wireless multiplayer gameplay modes such as Brawler, Hot Potato, Target Practice, and Combo Challenge allow for two players to face off in head-to-head Spider-Man action. Within the game, various hidden collectibles are waiting to be discovered. Collecting items result in additional hero points and bonus materials.